UK fried chicken chain Absurd Bird has launched a vegan menu featuring animal-free versions of its favorite dishes. The chain, which has outlets in Soho and Spitalfields in London, as well as Glasgow, Leeds, Bath, and Exeter tried to emulate the textures and flavors of its traditional chicken options. 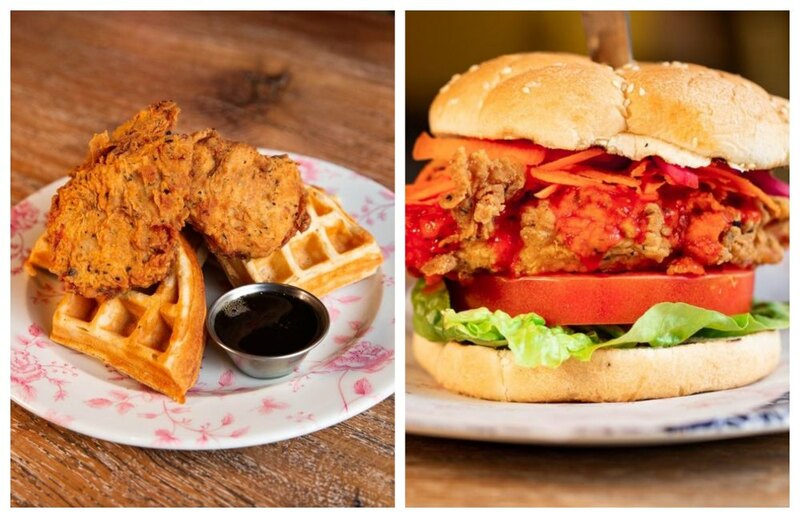 The new vegan dishes include chicken waffles; chicken tenders, mac and cheese, Cajun bites; and Buffalo chicken fillets. "We noticed the rising numbers of vegetarians and vegans and thought it was incredibly important to make our menu as accessible as possible," Absurd Bird Social Media Executive, Laura Hutchinson, told leading vegan media outlet VegNews. "There are so many delicious plant-based ingredients and creations that meant we really didn’t need to compromise on taste and could create menu options like vegan chicken and waffles that were just as delicious as the original ones." The new menu follows a 2018 Mintel report - Burger and Chicken Restaurants - UK - September 2018 - which said Millennial consumers going vegan or vegetarian is the 'biggest threat' to burger and chicken restaurants. "This is being driven by Younger Millennials who have either adopted a full-time vegan lifestyle or are simply eating more plant-based dishes. Operators now need to tackle this issue by offering consumers more varied choice, including vegan burgers."